Men at Work were an Australian reggae-influenced rock band which achieved international success in the 1980s. They are the only Australian artists to have a #1 album and single simultaneously in the United States (with Business as Usual and “Down Under” respectively). Maxi Priest (born Max Alfred Elliott, on 10 June 1961 in Lewisham, London) is an English reggae singer and songwriter . Matthew Paul Miller (born June 30, 1979), better known by his stage name Matisyahu is an American reggae musician. Manu Chao (born José-Manuel Thomas Arthur Chao on June 21, 1961 in Paris, France) is a French singer and political activist of Spanish (Galician-Basque) origin. He sings mainly in Spanish, French, English and Portuguese and occasionally in a number of other languages. Mano Negra was a French band fronted by Manu Chao. The band was founded in 1987 by Manu, his brother Antoine, and his cousin Santiago Casariego. It split up around 1995, but many members had already left by 1992. Lee “Scratch” Perry (born Rainford Hugh Perry, on March 20, 1936, in Kendal, Jamaica) is a reggae and dub artist, who has been highly influential in the development and acceptance of reggae and dub music in Jamaica and overseas. He employs numerous pseudonyms, such as Pipecock Jaxxon and The Upsetter. Lauryn Noel Hill (born May 25, 1975 in South Orange, New Jersey) is a Grammy Award-winning American singer, rapper, musician, songwriter, producer, and film actress. 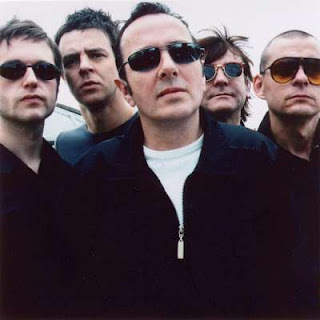 The Mescaleros were the backing band for Joe Strummer, formed in 1999, which went on to make three albums prior to Strummer’s death in 2002. Many of the band members were gifted multi-instrumentalists. The original line up consisted of Strummer on vocals and guitar, Antony Genn on guitar, Scott Shields on bass, Martin Slattery on keyboards and guitar (as well as flute and saxophone on select songs), Pablo Cook on various percussion instruments, and Smiley (aka Steve Barnard) on drums.